To those that ask Him, Jesus imparts the Holy Spirit; for it is necessary that every believer should be delivered from pollution (filthiness and stain of sin), as well as from the curse and condemnation of the law. Through the work of the Holy Spirit, the sanctification of the Truth . . . Thy Word is Truth (John 17:17 & 6:63), the believer becomes fitted for the courts of heaven; for Christ works within us, and His righteousness is upon us. Without this no soul will be entitled to heaven. We would not enjoy heaven unless qualified for its holy atmosphere by the Divine Influence of the Spirit and the righteousness of Christ. In order to be candidates for heaven we must meet the requirement of the law: “Thou shalt love the LORD thy God (Jehovah, Yehuwah thy Elohim) with all thy heart, and with all thy soul, and with all thy strength, and with all thy mind; and thy neighbour as thyself” (Luke 10:27). We can do this only as we grasp by faith the righteousness of Christ (Jeremiah 23:5-6) . . . appropriating it as our own ! By beholding Jesus (Isaiah 45:22-25) we receive a Living, expanding principle in the heart, and the Holy Spirit carries on the work, and the believer advances from grace to grace, from strength to strength, from character to character. He conforms to the image of Christ, until in spiritual growth he attains unto the measure of the full stature in Christ Jesus. Thus Christ makes an end of the curse of sin, and sets the believing soul free from its action and effect ! Christ alone is able to do this, for “in all things it behoved Him to be made like unto His brethren, so that He might be a merciful and faithful High Priest in things pertaining to God, to make reconciliation for the sins of the people. For in that He Himself hath suffered being tempted, He is able to succour them that are tempted” Hebrews 2:17-18). Reconciliation means that every barrier between the soul and God is removed, and that the sinner realizes what the pardoning love of God means. 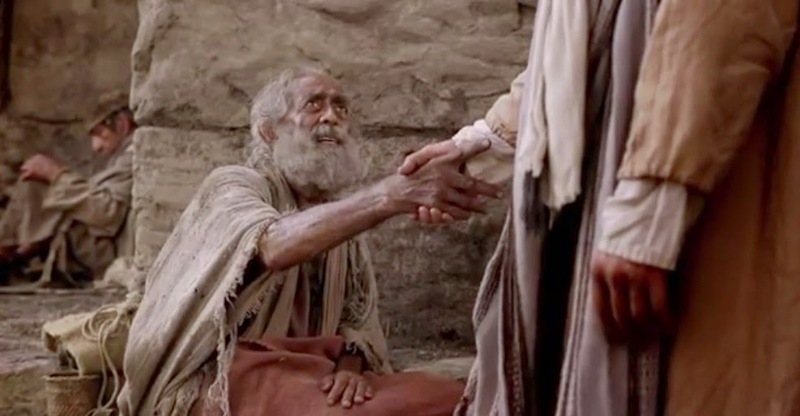 By reason of the sacrifice made by Christ for fallen men, God can justly pardon the transgressor who accepts the merits (worthiness) of Christ (Hebrews 10:7-14). Christ was the channel through which the mercy, love, and righteousness might flow from the heart of God to the heart of the sinner. “He is faithful and He is Just to forgive us our sins, and to cleanse us from all unrighteousness !” I John 1:9. In the prophecy of Daniel it was recorded of Christ that He shall “make reconciliation* for iniquity, and . . . bring in everlasting righteousness” (Daniel 9:24). Every soul may say: “By His perfect obedience He has satisfied the claims of the law, and my only hope is found in looking to Him as my Substitute and Surety (Pledge of a completed work), Who obeyed the law perfectly for me. By faith in His merits (worthiness – Revelation 5:12), I am free from the condemnation of the law. He clothes me with His righteousness, which answers all the demands of the law. Many think that they must wait for a special impulse in order that they may come to Christ; but it is necessary only to come in sincerity of purpose, deciding to accept the offers of mercy and grace* (G5485 – the Divine Influence upon your heart) that have been extended to us. May the LORD (Jehovah, Yehuwah) both bless and keep you Today (Hebrews 3:3-19 & II Corinthians 6:2) . . . strong in faith, and the unfailing power of His Life-giving Word ! This entry was posted in articles of faith, Bible Study, Blog, Testimony, Uncategorized and tagged 14, 1888, 3rd, 3rd angel, angels, appropriate, appropriated, appropriating, assurances, atonement, belief, Believe, believes, Bible, Biblical, Calvary, captives free, Christ, clean, cleansed, commandments, commission, curse, daughters of God, Deliverance, dragon revealed, Eric Wilson, Faith, flesh, forgiven, forgiveness, freely, garment, gentiles, Glad Tidings, GOD, God's love, God's Word, Gospel, Great, healed, heart, heathen, holiness, holy, innocence, innocent, Isaiah Ministries, Israel, Jehovah, Jesus, justification, justified, justify, Lamb of God, Law, loud cry, made whole, manifest, message, obedience, obey, pardon, passover, power, promises, reconciled, reconciliation, Redeemer, Redemption, Rest, restoration, Revelation, righteousness, Righteousness by Faith, robe, robes, Romans, Sabbath, sacrifice, Salvation, sanctified, Sarah Wilson, saved, Saviour, sin, sinful, sons of God, Spirit, strong, Substitue, surety, trust, unfailing, weak, White, Word, Yahweh, Yehuwah, YHWH by Isaiah Ministries. Bookmark the permalink.